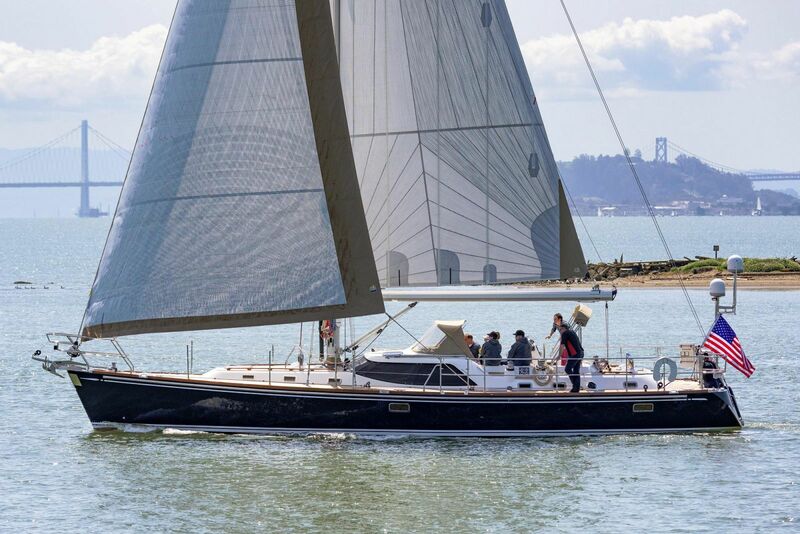 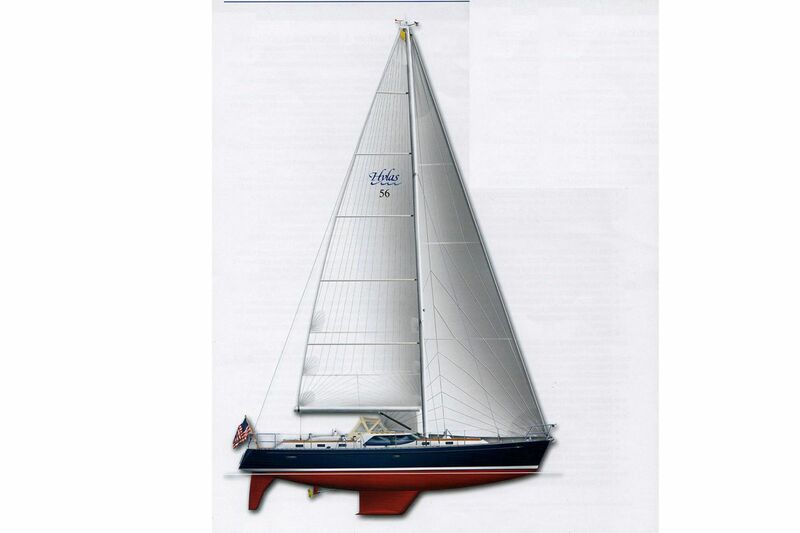 This Hylas 56, designed by German Frers, has been one of the most successful Hylas models. 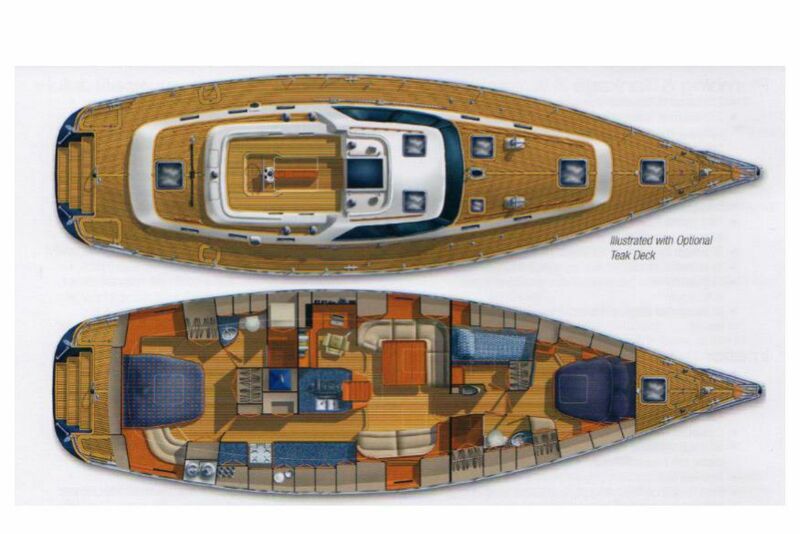 The model was Cruising World Magazine's 2011 Boat of the Year. 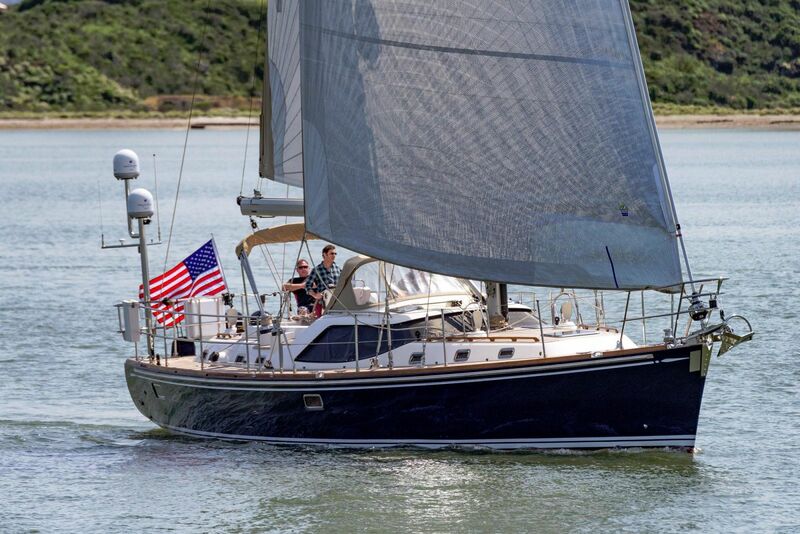 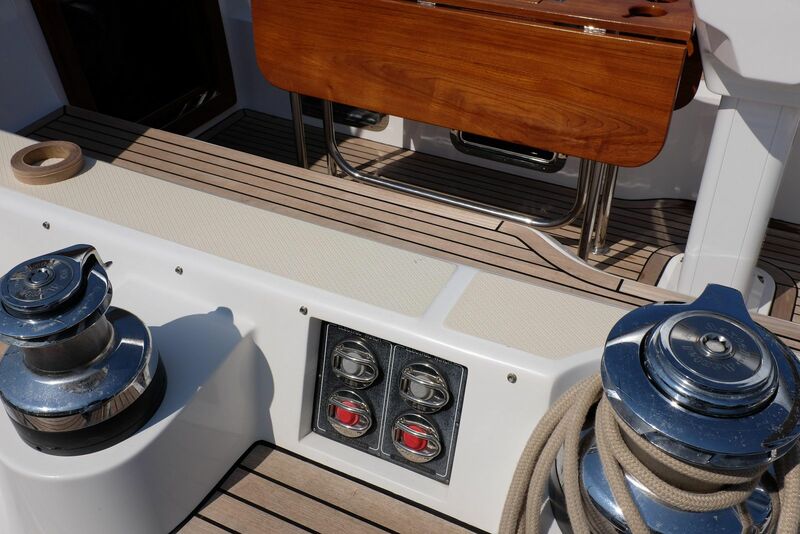 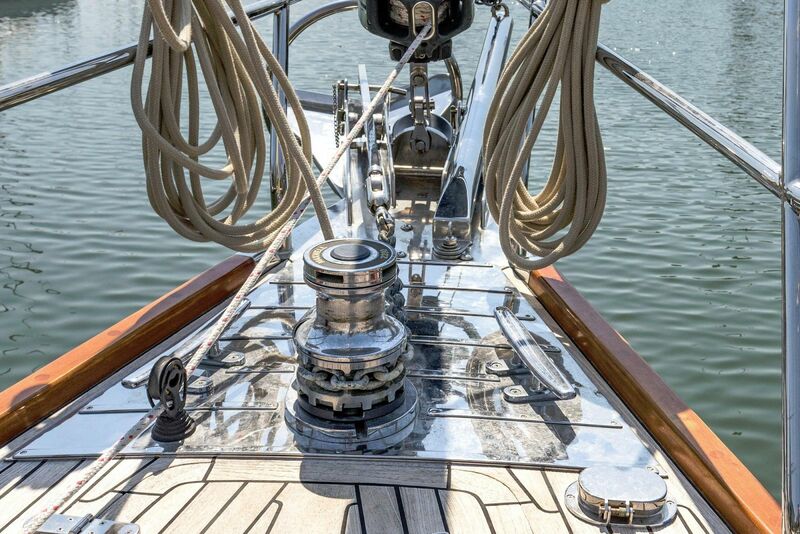 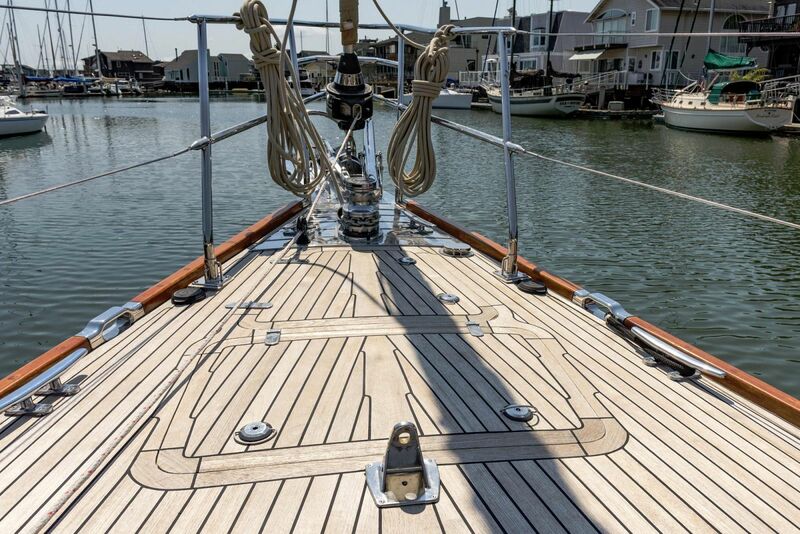 With her beautiful flag blue hull and teak decks this yacht is particularly striking. 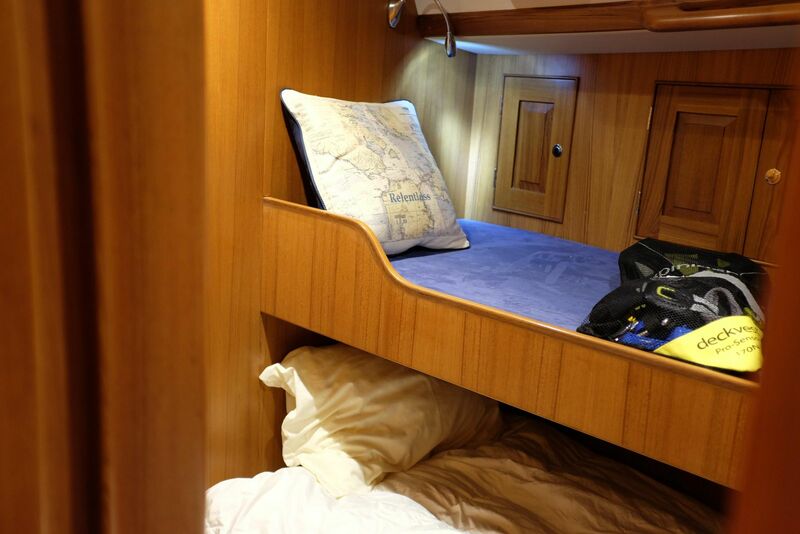 This is an unusual opportunity. 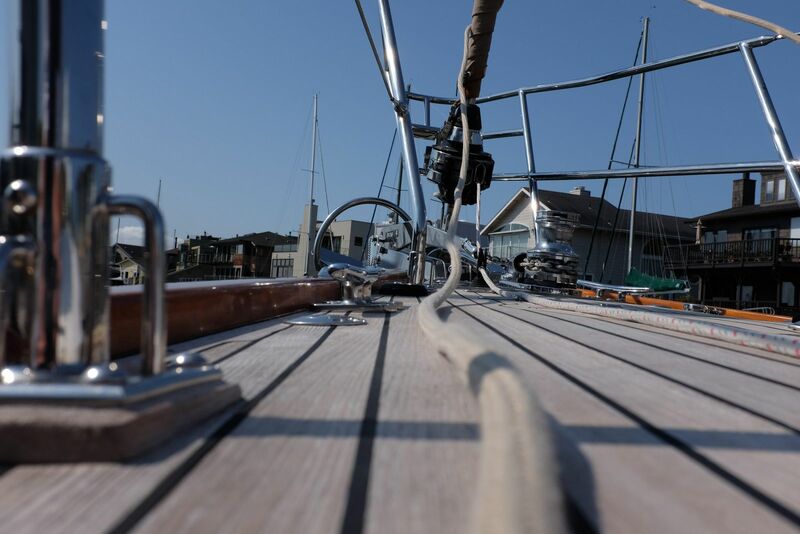 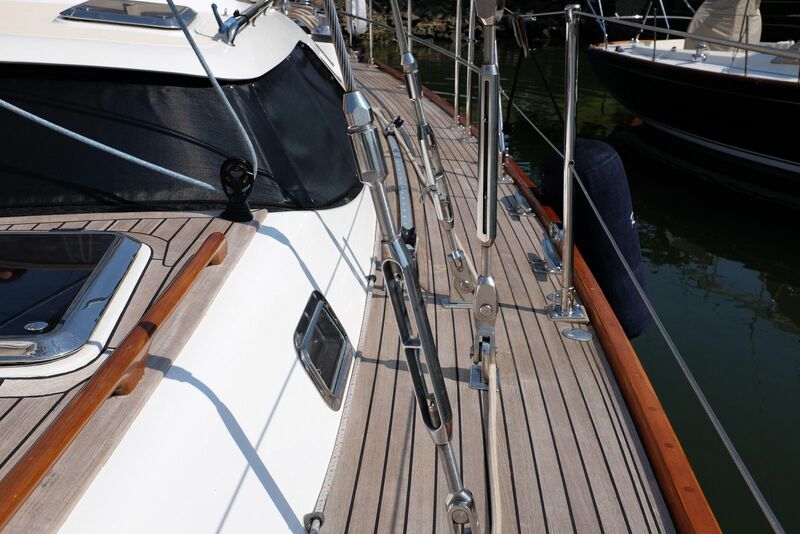 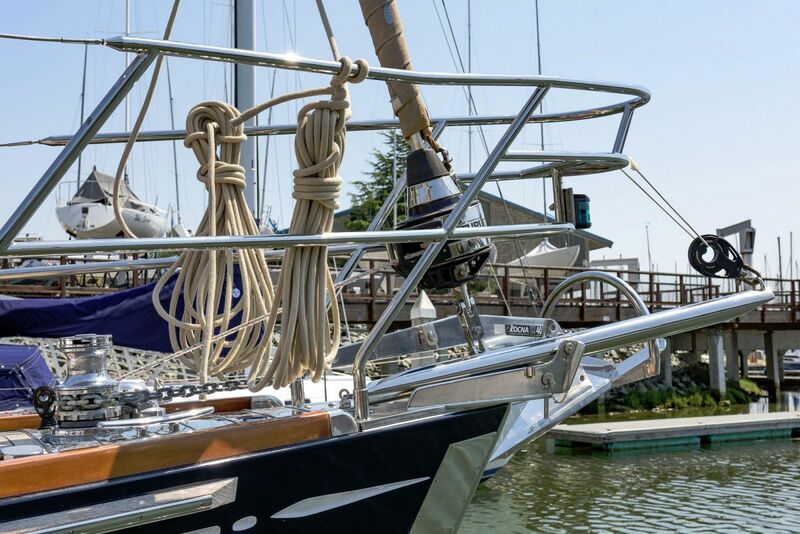 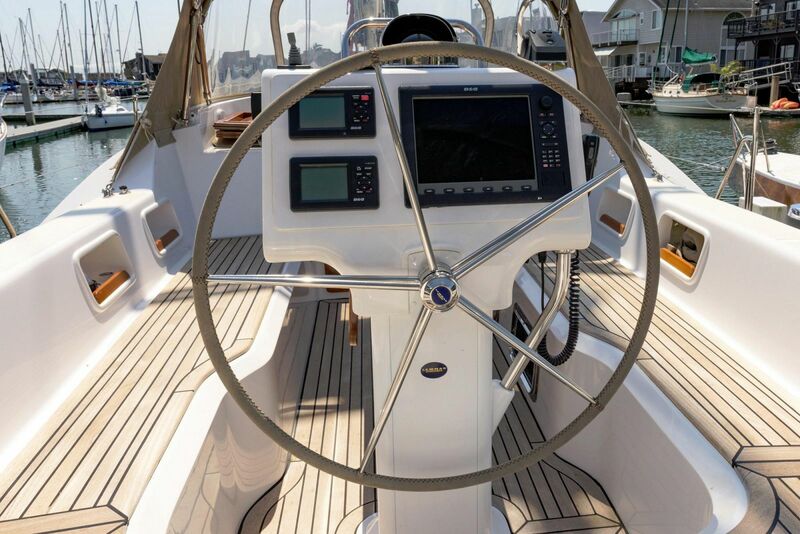 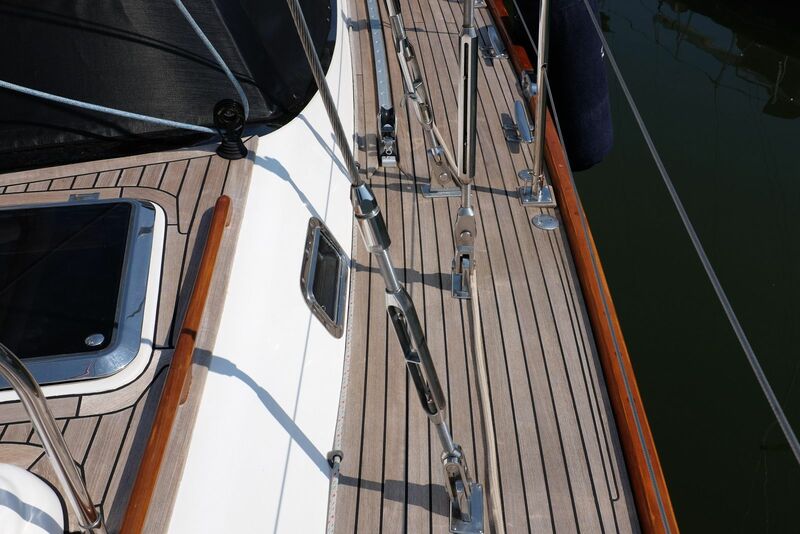 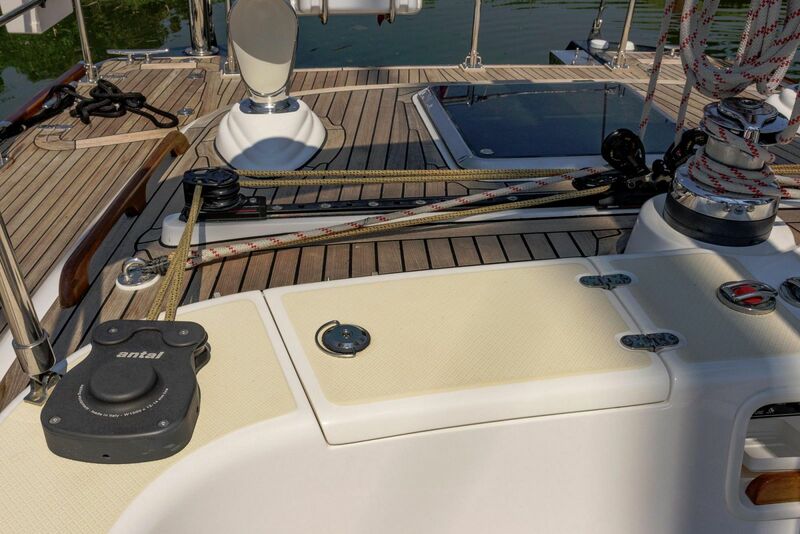 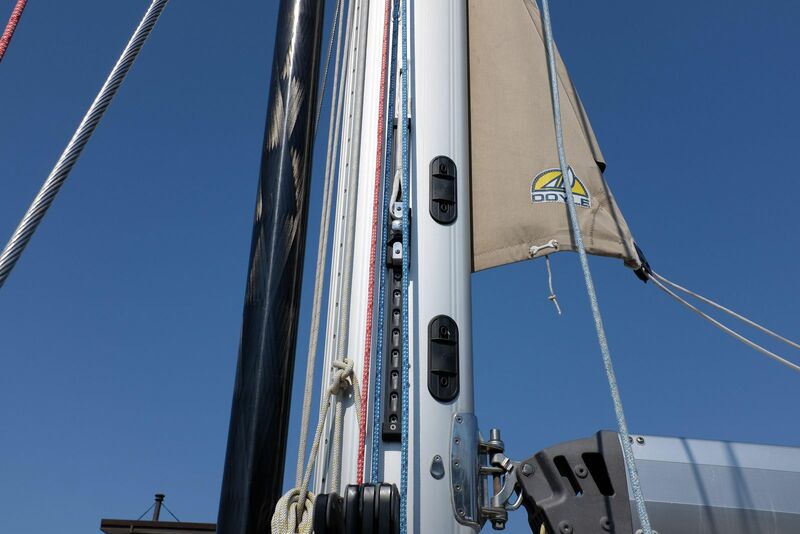 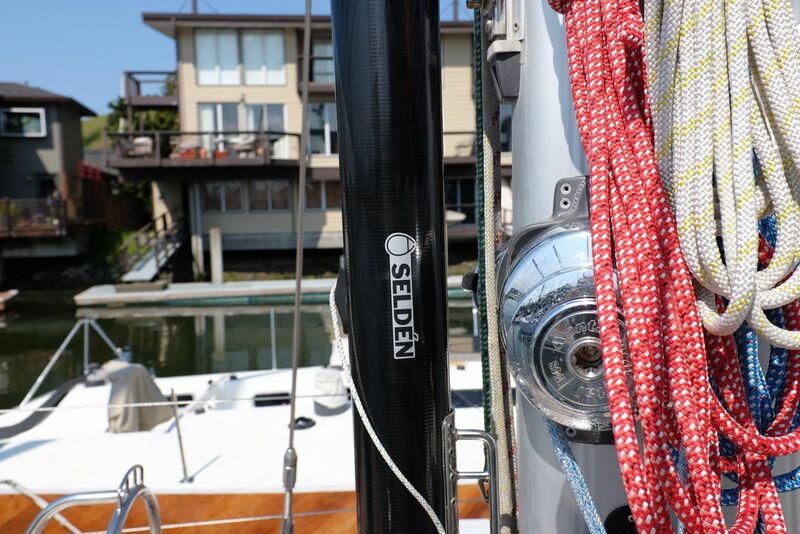 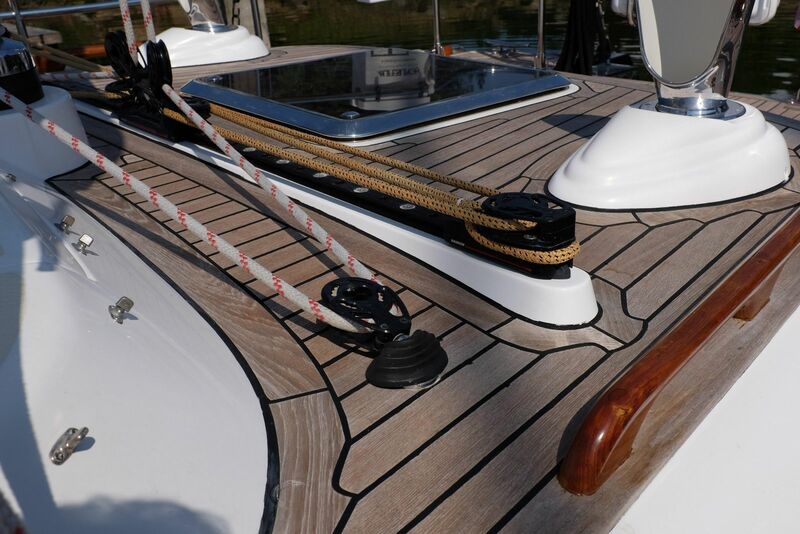 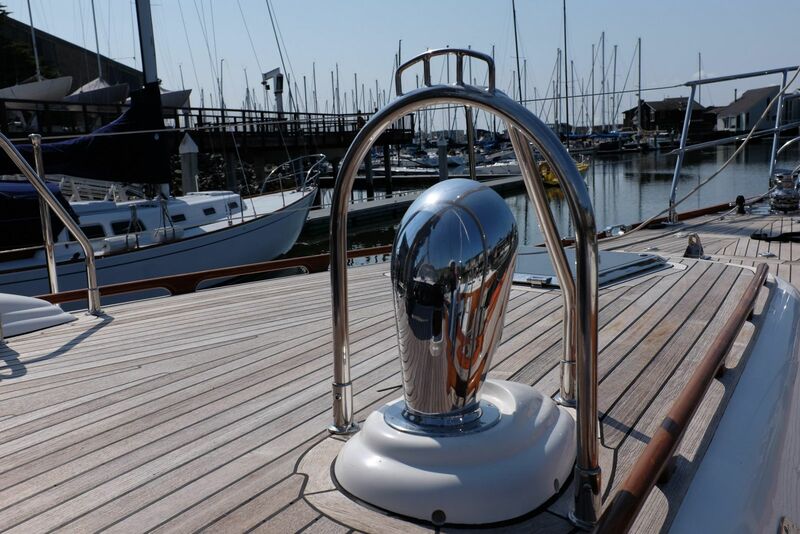 The in-mast main furling system and deck layout make for easy handling. 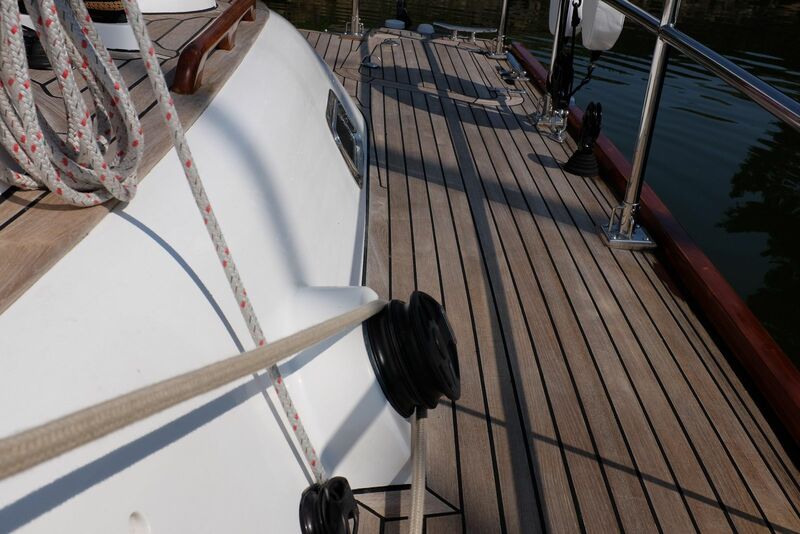 She is fast, safe and comfortable. 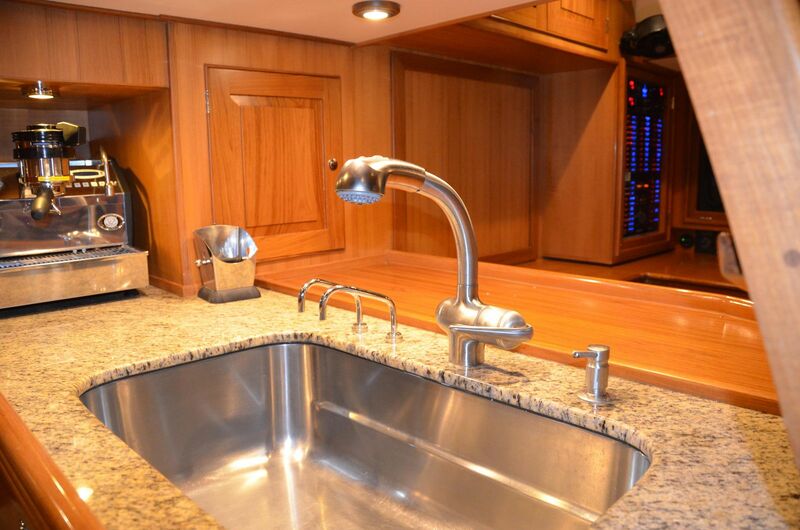 Below, she is elegant, incorporating the owner's tasteful selection of options throughout - even a full-size Italian espresso maker. 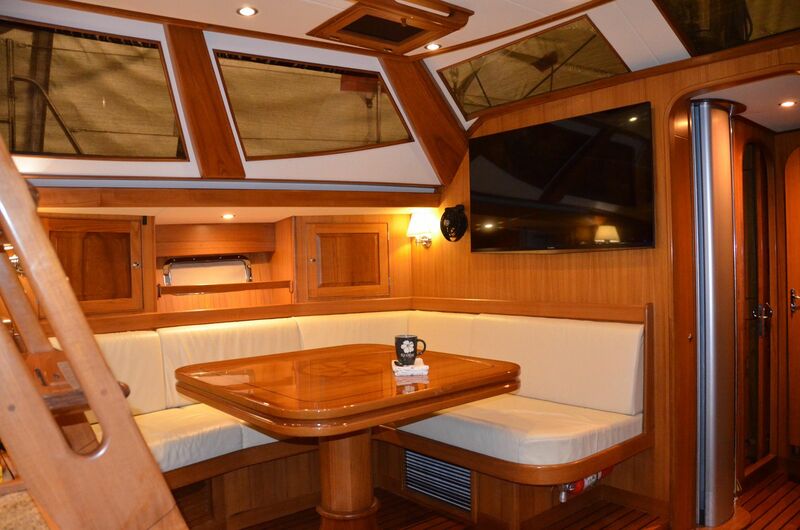 The main saloon and three staterooms offer natural light and excellent ventilation to balance the exquisite, warm teak interior. 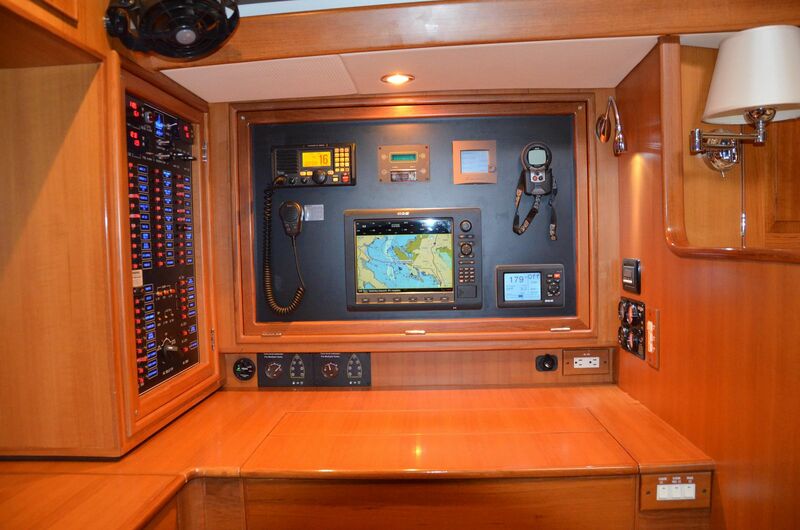 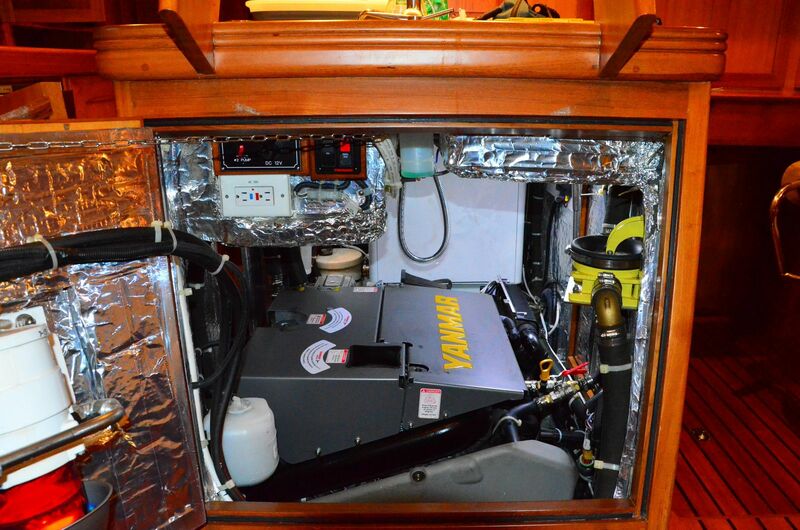 She has a full set of premium B&G marine electronics and KVH satellite voice, data and television systems; a proven Yanmar BY engine and Northern Lights generator; three air conditioning units and a Spectra water-maker - all supported by the strength, finish, and quality of a legendary builder, Queen Long Marine. 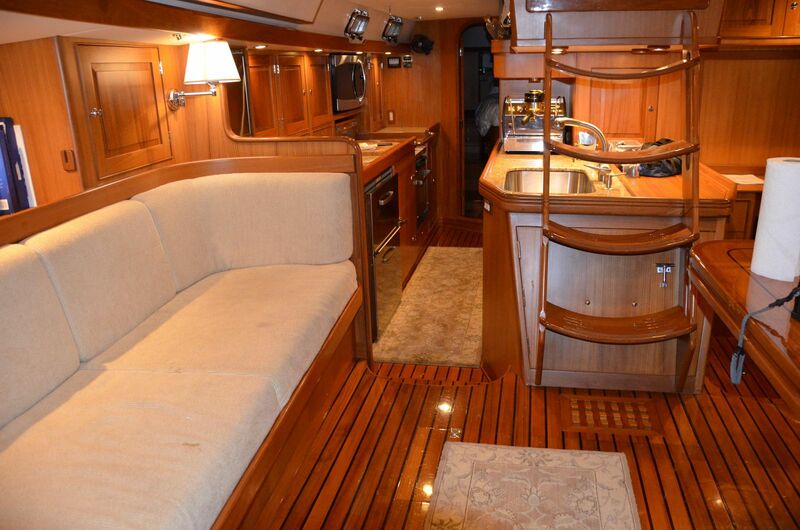 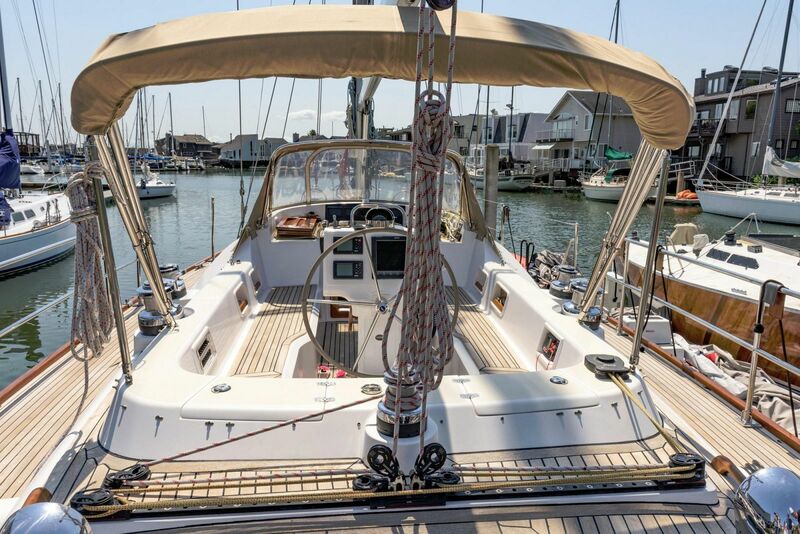 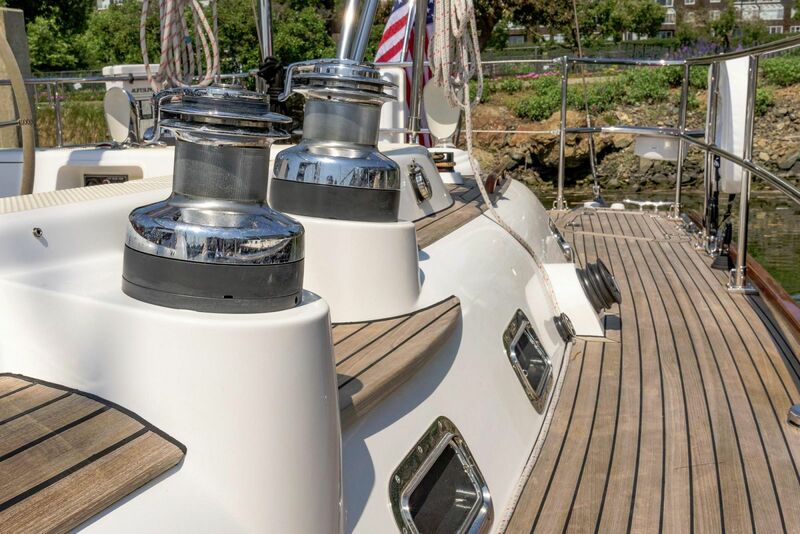 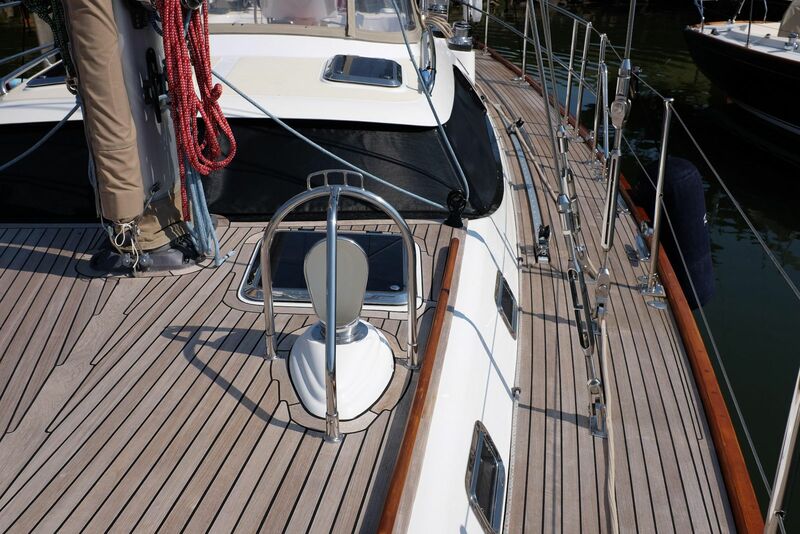 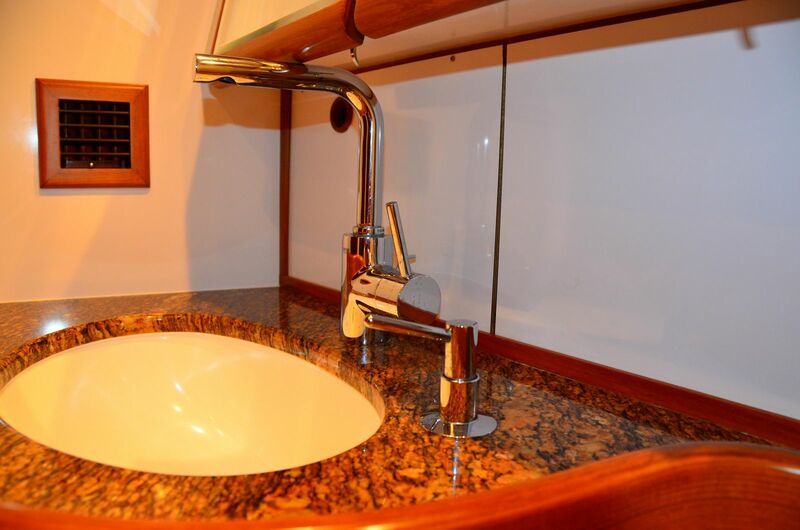 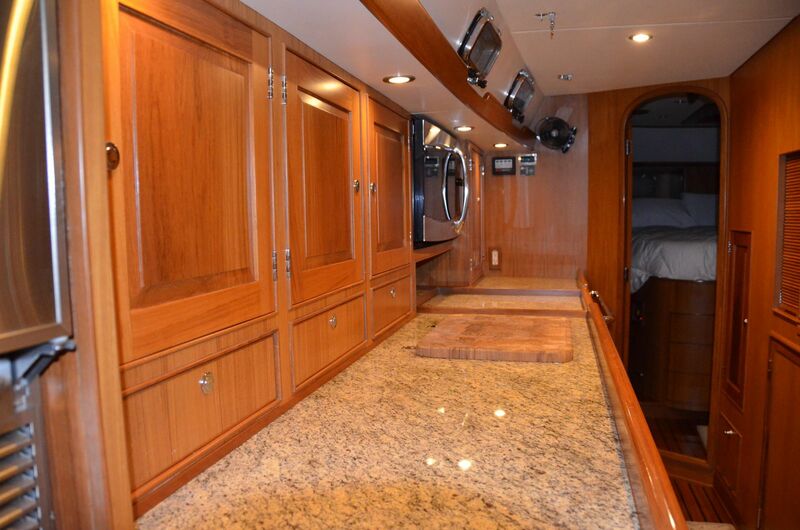 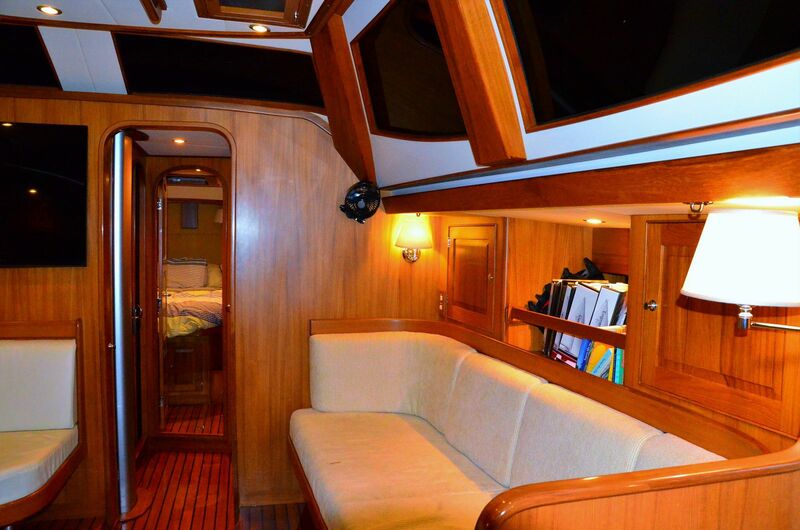 This Hylas 56 is ready for long range cruising and relaxing sunsets.